An ash pond is an engineered structure for the disposal of bottom ash and fly ash. The wet disposal of ash into ash ponds is the most common ash disposal method, but other methods include dry disposal in landfills. Fly ash | is a coal combustion product composed of fine particles that are driven out of the boiler with the flue gases. Bottom ash | is primarily comprised of fused coarser ash particles. Bottom ash can be used as lightweight aggregate, an important component in making concrete blocks. Dry-handled ash is often recycled into useful building materials. Wet disposal has been preferred due to economic reasons, but increasing environmental concerns have decreased the popularity of wet disposal. The wet method consists of constructing a large pond and filling it with fly ash slurry, allowing the water to drain and evaporate from the fly ash over time. Ash ponds are generally formed using a ring embankment to enclose the disposal site. When the ash pond is full, it is often necessary to excavate the ash and transfer it to a landfill or permanent disposal site to create additional storage in the ash pond. RPM Solutions, headquartered in Lexington, Kentucky, delivers superior coal process solutions for our clients, big or small, regardless of the location. We differentiate ourselves through our advanced skills and preparation. RPM Solutions’ commitment to detail is the most important component of our success. Our team has proven experience working with various regulators and power and utility clients to successfully address state and federal regulatory issues. Before ash ponds can be closed, the water must be treated, tested and removed to dry the ash enough for grading and construction of the closure cover system. This process is called dewatering. A successful closure approach accounts for the size of the ash pond, dewatering requirements and methods, final site use, integration of any remediation efforts, constructability, site layout and long-term costs. Water removal from an ash pond is critical to constructability, project economics and long-term performance. Without proper dewatering of saturated ash materials before removal, excavations risk caving and cut slope collapse, creating safety hazards and potentially costly repairs. During closure, dewatering should be conducted to limit disturbance and re-suspension of an ash pond’s solids, especially while construction activities take place in the immediate vicinity of the discharge structure. 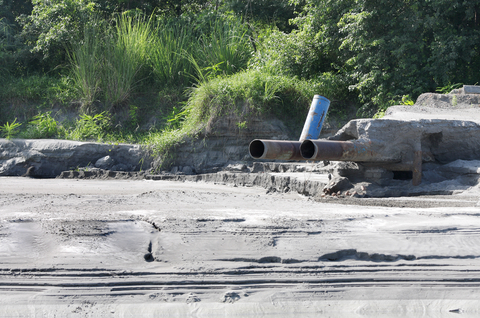 RPM Solutions can provide coal ash dewatering services, handling dredged ash from an impoundment or accepting flow directly from your plant’s wet ash discharge. We will work with you to select a dewatering process that is most appropriate for your particular project. RPM Solutions’ turnkey approach offers clients schedule-sensitive and regulatory-compliant solutions for the most challenging coal ash projects.